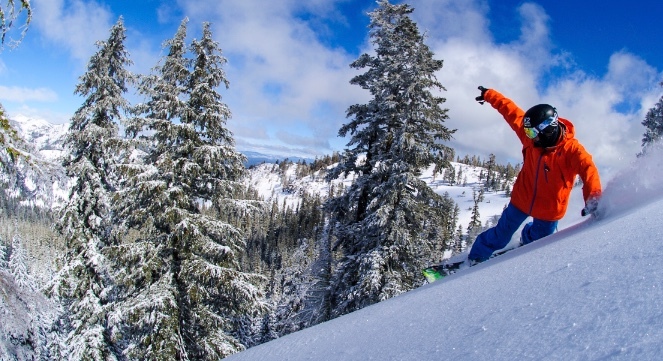 It’s been talked about for years, and now solid plans have been announced to build a 3,000-foot-long gondola linking Squaw Valley and Alpine Meadows ski resorts, thus producing what would be the largest ski complex in California with more than 6,000 skiable acres. 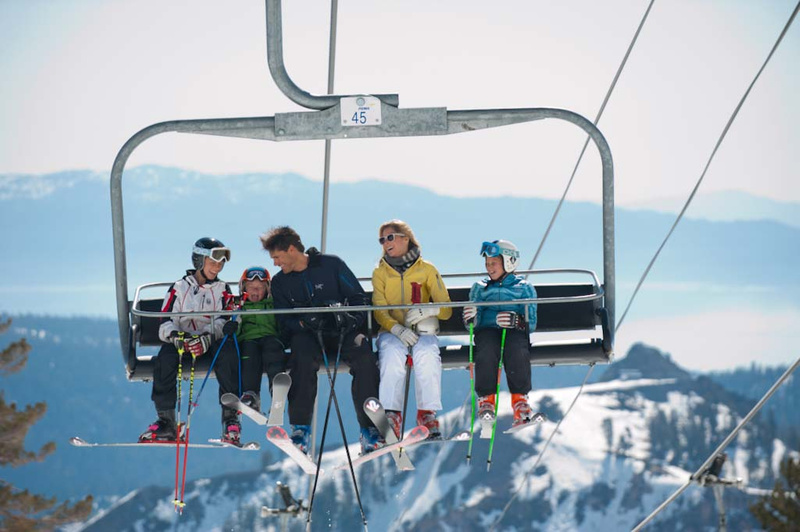 KSL Capital Partners., which owns both resorts, is optimistic that it can get the gondola up and running for the 2019-20 ski season pending environmental approvals from county, state and federal agencies. It must also survive possible court challenges from environmental organizations. The gondola, which would connect the base areas of both resorts, would be named the California Express. 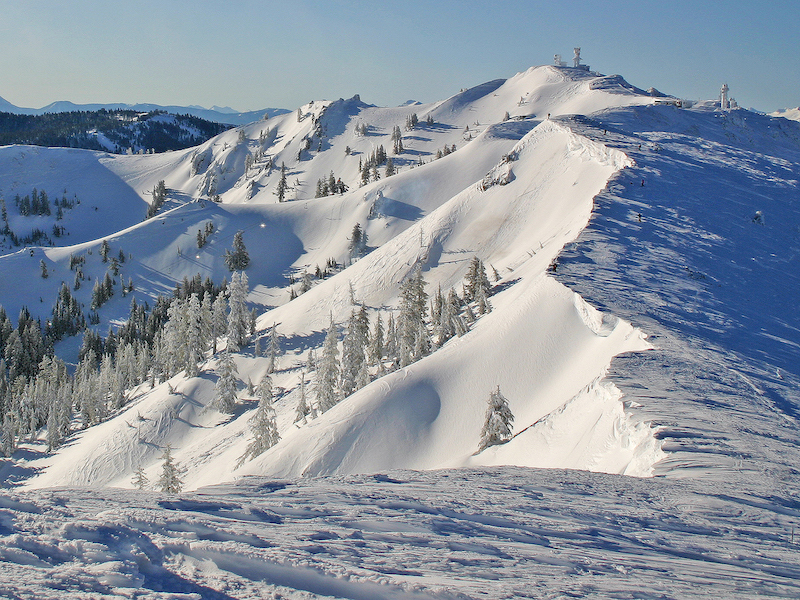 The two resorts’ many lifts would take skiers and snowboarders to some 270 marked runs plus the famed open bowls at Squaw and Alpine. A steep ridge separates the two resorts. 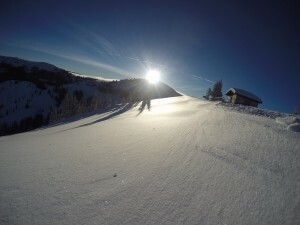 About 30 years ago, a local skier and developer – Troy Caldwell – bought a 460-acre parcel of land on the ridge that abuts both resorts. Caldwell and the two resorts have an agreement under which the gondola would be allowed the cross that private land thus making the linkage possible. Land that the gondola would sail over is right next to the Granite Chief Wilderness. Sierra Watch, a nonprofit that opposes over-development in North Lake Tahoe, maintains that the project would threaten the value of the wilderness zone. There are a number of small lakes in the area that are very popular with hikers. Squaw and Alpine note that there are no plans to operate the gondola in the summer and thus lessen the wilderness experience for the hikers. 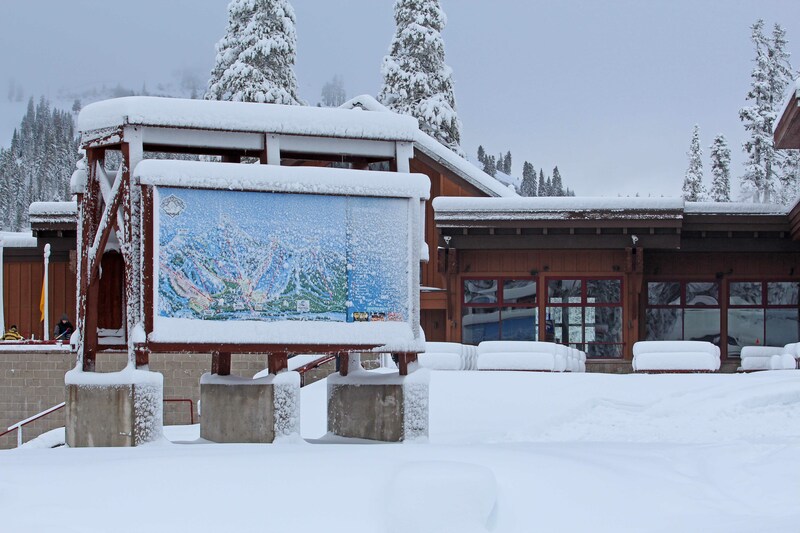 Right now, it can take 20 to 40 minutes – depending on conditions – to drive from one resort to the other. 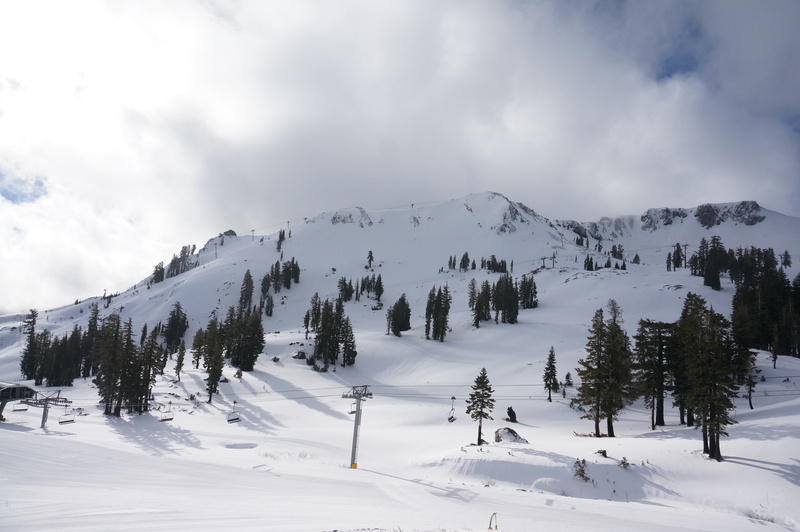 Andy Wirth, president and COO of Squaw Valley Alpine Meadows, noted that the gondola would reduce car and shuttle traffic between the two resorts. He stressed that the gondola would avoid crossing into the Granite Chief Wilderness boundary. Visual impact of the gondola towers would be minimized by limiting the number and height of the gondola towers. And no access roads would be needed to cut through the woods as gondola builders would use helicopters and overland crews for construction. 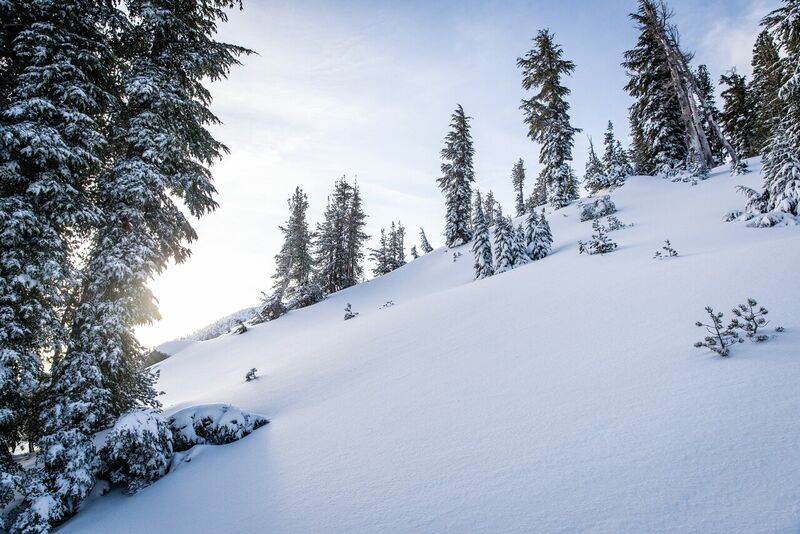 It’s spring, but someone apparently forgot to tell Mother Nature because about 2 feet of fresh powder fell overnight at Mammoth Mountain – and even more is expected during the next 36 hours. By the time the storm passes through Saturday evening, according to a National Weather Service forecast, there could be another 2 to 4 feet of snow at the top of the mountain. 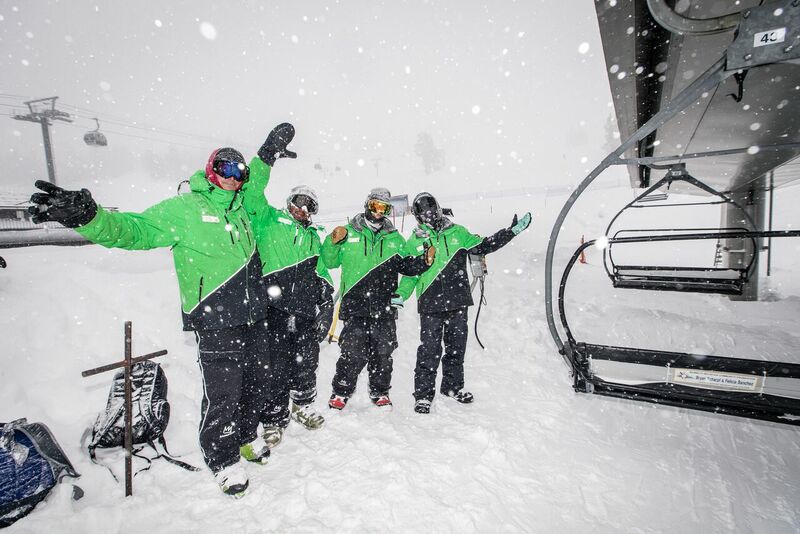 So far this season, more than 560 inches of snow has fallen at Mammoth Mountain’s Main Lodge, where the base is 165 inches. At the 11,053-foot summit, the base is 320 inches, the deepest of any resort in the country, according to a spokesman. 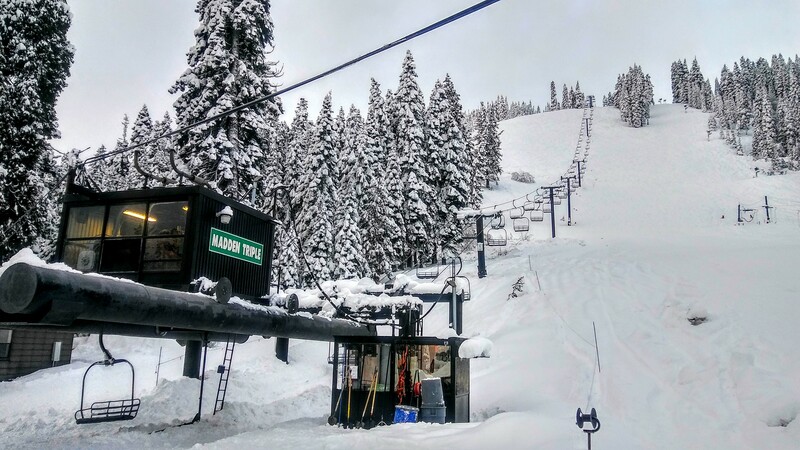 Other resorts, including Heavenly, Kirkwood and Squaw Valley in the Lake Tahoe area, have a base of 183 to 247 inches, and in Utah the resort with the most snow is Alta, which was reporting a 124-inch base this morning. 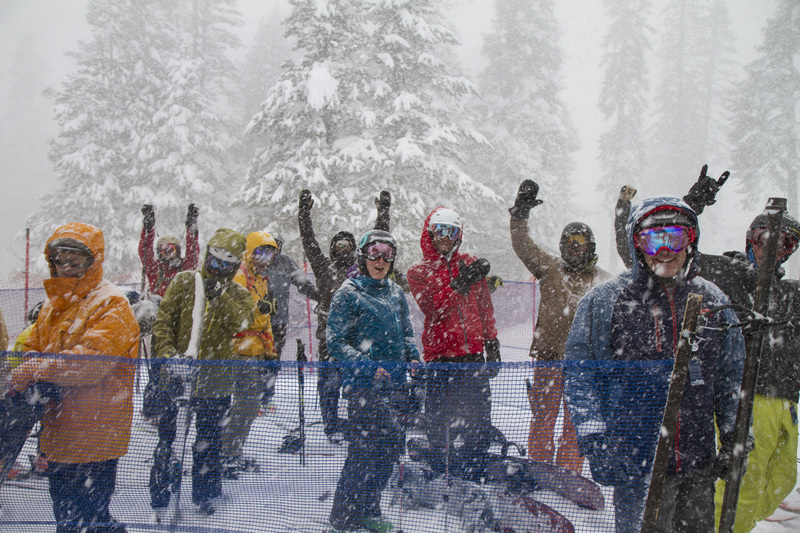 Back at Mammoth, sunny skies were expected to return by Sunday, when highs will reach the upper 30s. The 10-day forecast shows another possibility for snow next Thursday and Friday. 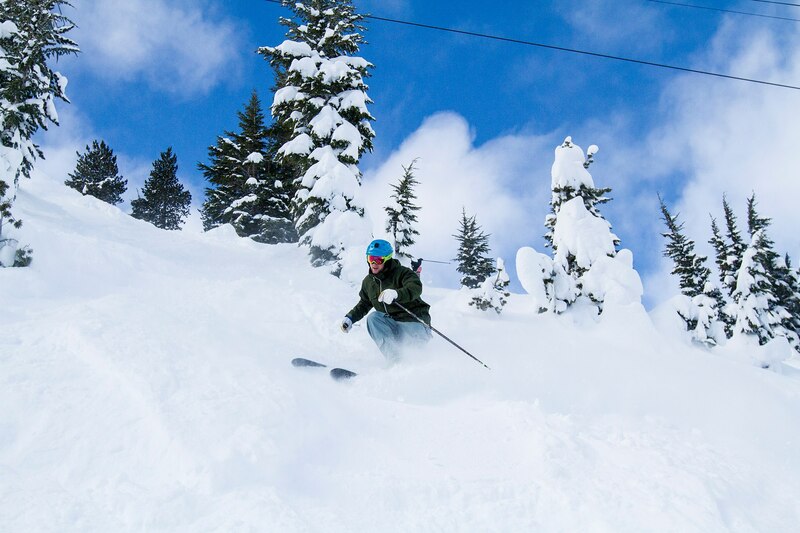 The resort is selling 2017-18 season passes at an early bird rate that allows skiers and snowboarders access to the slopes for the remainder of this season, which is expected to continue at least through July 4.